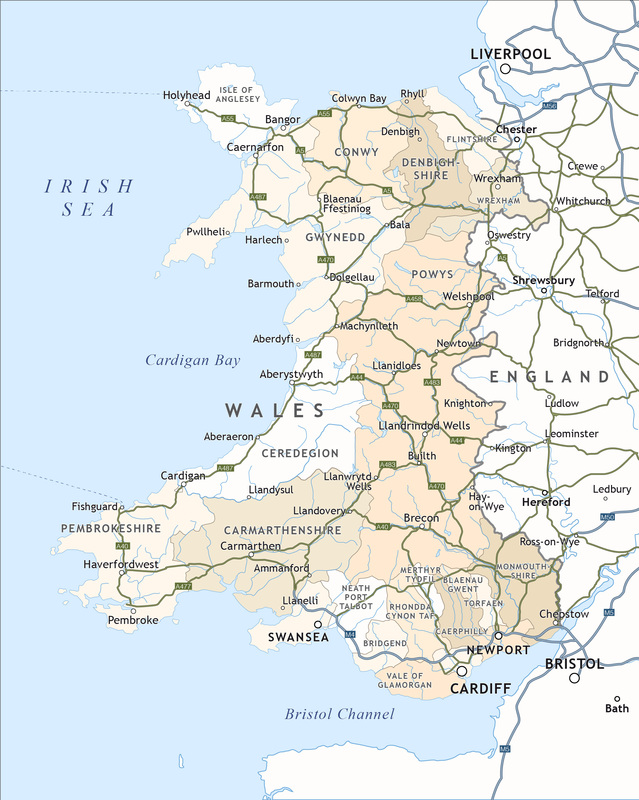 All the counties of Wales are plotted, and you have the option to show them with their administrative boundary lines and/or as areas of colour. The principal roads and towns are shown. There are also the Welsh islands, lakes and rivers on the base layers, making an impressive backdrop to the political data. All layers are easily editable.